Magic moments await in irresistible destinations you’ll simply fall in love with. Bask in the sunshine, relax in your own private pool, or venture out and explore in new romantic settings. Your villa holiday for two is the perfect time to savour seclusion and privacy with that special someone. Picture yourself enjoying each other’s company as the sun sets and the cool evening breeze settles under a starry sky. Whether you choose to be in the heart of the action, or in a rural hideaway, we have an idyllic villa for you. Delightful and elegant, Angela paints a panoramic picture of the Ionian Sea from Lefkas. Perched upon the lush hillside, you’ll admire coastal beauty from the comfort of your terrace. Your eyes will light up as you witness the sun rising and setting each day. Choose to spend time at your own haven, or explore the nearby Agios Ioannis beach. Sample tasty Greek cuisine at traditional village tavernas. This Greek Island boasts year-long sunshine and inviting sandy beaches, sure to get your heart racing! A memorable romantic getaway awaits. 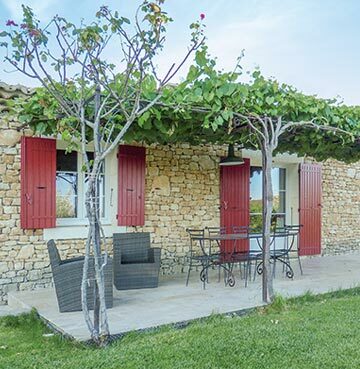 You'll fall head over hills for the lush green countryside on your doorstep at Villa Madeleine. This famed romantic French region of Côte d'Azur provides the perfect backdrop for a memorable getaway as a couple. Discover traditional French harmony with a visit to the local villages of Lioux and Luberon. With a beautifully classic interior, this villa has a homely touch with French notes throughout. Relax in the soothing atmosphere, allowing yourself to be captivated by the rural views. This area will take your heart and leave you with everlasting memories. Your romantic villa in this Italian coastal gem awaits. Majestically designed with an Italian flare, Casa Rosa’s pool and terrace offer unbeatable sea views over the Amalfi Coast. Relax in the evening sun among the olive and lemon trees of the pristine gardens. Fancy some time exploring the local area? Sant’Agata Sui Due Golfi village is nearby, teeming with traditional Italian eateries. Perhaps you’ll stay to enjoy a glass of local wine followed by a stroll through the colourful streets. 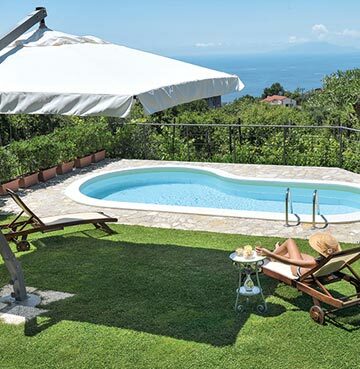 And with Sorrento just a short drive away, pure Italy really is on your doorstep. Modern and spacious, Sky shines with a vibrant interior, setting the scene for your idyllic getaway. If you fancy a romantic meal cooked up by Cypriot chefs, enjoy local bars and restaurants within easy reach. The open plan layout creates a light and airy feel, sat next to your large double bedroom. 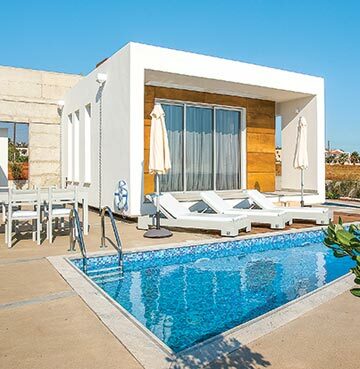 You’ll have the freedom to shape your dream villa holiday, opting to soak up the sun in the privacy of your own space, or venturing to explore the stunning local area. Hiring a car opens up a world of adventure with Paphos just 20 minutes away. Whatever you choose to do with your loved one, this promises to be an exciting holiday destination for the two of you. With unspoilt views, Peony really is your romantic retreat. 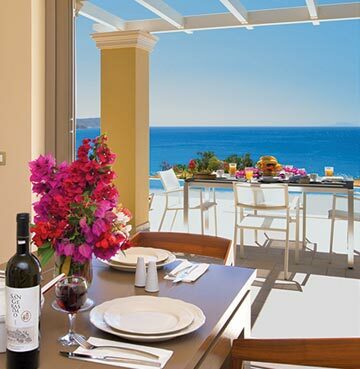 It’s elevated among five villas in Lefkas, however it has a very private feel. Are you longing for an unforgettable holiday with your loved one? This ticks all the boxes! Quirky and spacious, the living area is cosy and has everything to make a blissful stay. Discover the unique surroundings close by, including charming traditional villages and magnificent sandy beaches. After a packed day of exploring, return to your retreat for an evening of al fresco dining as the sun sets on another day in paradise. 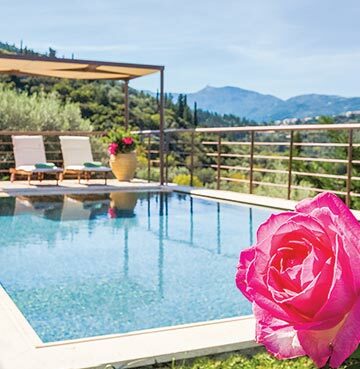 You’ll be instantly charmed by this romantic hideaway sat alongside mountainous coastline in Kefalonia. Follow the Greek aroma of the surrounding area towards the local markets and traditional eateries. Or stroll hand-in-hand as you admire the picture-perfect sea views. The villa oozes style in a spacious layout, with a private patio opening out to lavish countryside next to deep blue ocean. This creates an idyllic base to unwind and savour unforgettable moments with that special someone. 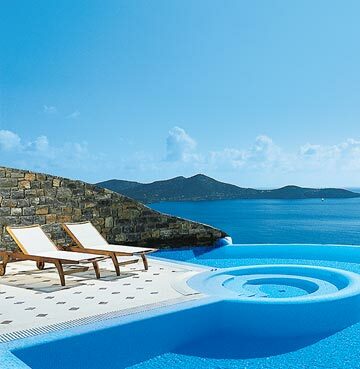 Boasting its own infinity pool, this villa in Crete is the ideal setting to relax and cool off while enjoying the panoramic scenes over the horizon. You may opt to use the private gym or unwind in the sauna. The property and views are a picture of pure beauty together, complete with a chic design. Fall in love here all over again as you admire the cosy décor with a French feel. Enjoy an evening soaking up the lively atmosphere of the nearby towns before heading back to your villa for tranquillity in the evening sun. Still haven't found your romantic retreat? Discover even more options with our best villas for couples.